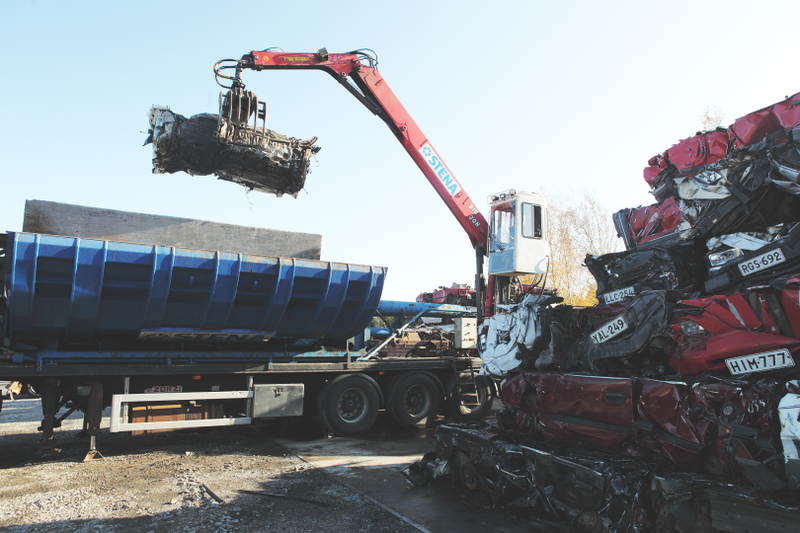 We are one of Finland’s most modern and environmentally friendly auto parts salvage yards. Our extensive warehouse includes new and used spare parts for most car brands. From our pick-n-pull yard you can pull the parts you need yourself. Our skilled personnel quickly and efficiently disassemble vehicles with modern tools. 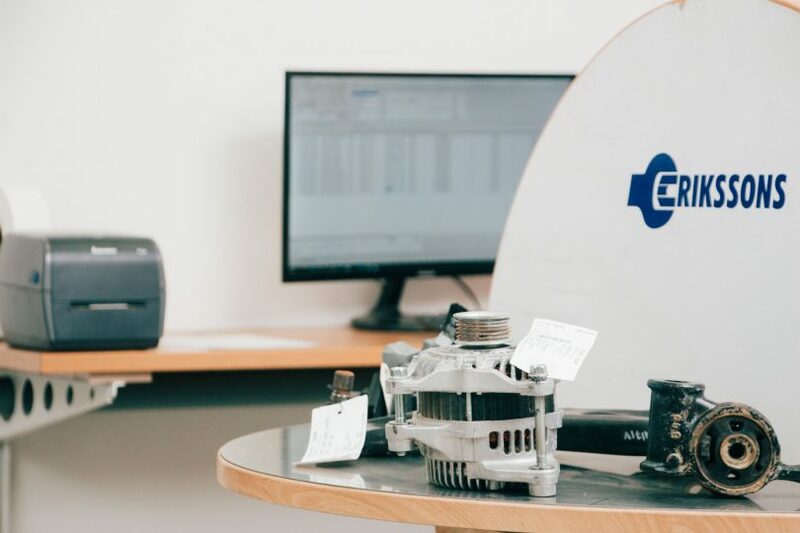 Our warehouse contains only fully functional spare parts, all of which can be found in our database. From us you’ll find the spare parts you need! All other orders have a 14 day return window. The car might have been involved in an accident, or you want to get rid of the car because it's otherwise in bad shape. You might be out in the traffic of at home, the car might be drivable or not. We pick up cars over the whole of Finland and in some cases from abroad. If you have crashed your car, call our towing service and we will pick the car up. No matter what will happen to the car, we do the appropriate tests and measurements, otherwise we don't know what we have at our hands. In case the car is being repaired, it is now handed over to our body workshop. The car is washed and is drained from all fluids with appropriate equipment, the car is cleaned and the general condition is determined. All useable parts are recycled and resold as spare parts. 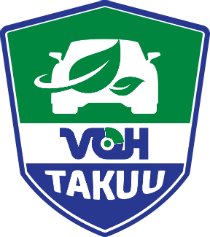 The VOH-Warranty for used cars gives you additional protection. The warranty is verified with VOH’s warranty proof. The warranty is valid for 12 months or 20000kms after date of purchase. If the part for some has broken during the warranty period, it is reimbursed, also the costs of installation and shipping are reimbursed. The warranty applies both to consumers and companies. Further information can be found in Finnish here: www.varaosahaku.fi/fi-sv/Artikel/VOH_Takuu/. 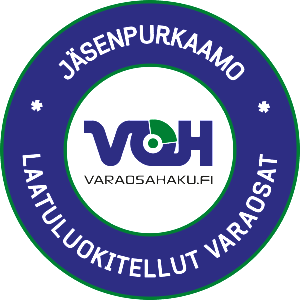 We are members of Varaosa-alan Yhdistys ry and all our car parts can be found in the varaosahaku.fi -service. We are reviewed approximately every other year. We do not have any own certifications, since we are part of AVK partners. We are reviewed approximately every other year. Our environmental policy, based on ISO 14001 involves the following actions. All dismantling is done indoors on a compact concrete pad. We remove all liquids and remove all parts that can harm the environment before storage or dismantling. We handle, recycle or process all environmentally harmful products in a long-term environmentally sound manner through cooperation with companies that meet our environmental requirements. We offer our employees environmentally friendly and secure workplaces and carry out training for active efforts in our environmental work. We strive for the reuse of parts from end-of-life vehicles or for the parts to be recycled, taking into account the environment and the finite resources of the earth. We want to be one of the leaders in the automotive recycling industry regarding the development and application of modern environmental technology.